Elysium Solid Black Diamond Wedding Bands Now Available! Proprietary technology now creates a multi-crystal black diamond matrix that resists scratching, lasts forever and maintains an artisan sheen that never fades. Step into the darkness of infinite perfection. 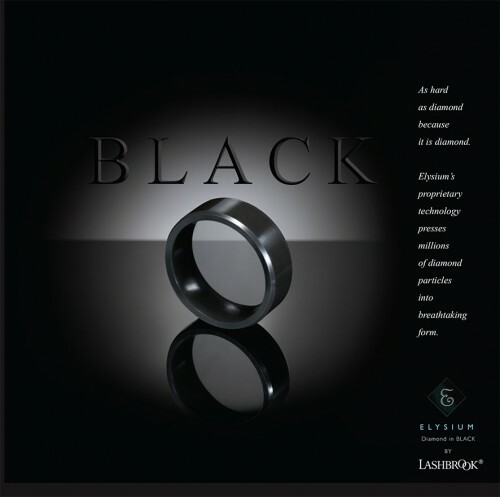 There is nothing else like Elysium BLACK Diamond in the world. 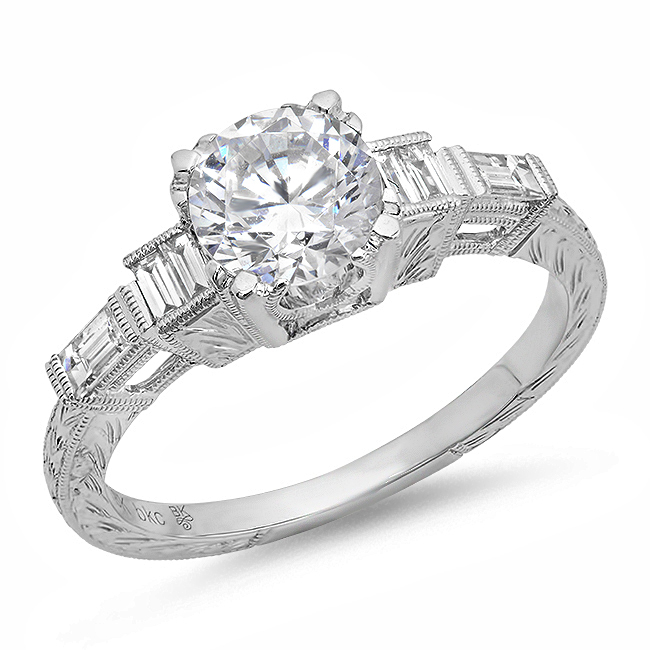 It is more enduring than titanium, harder than tungsten and its timeless luster and beauty will outlast silver, gold and platinum. 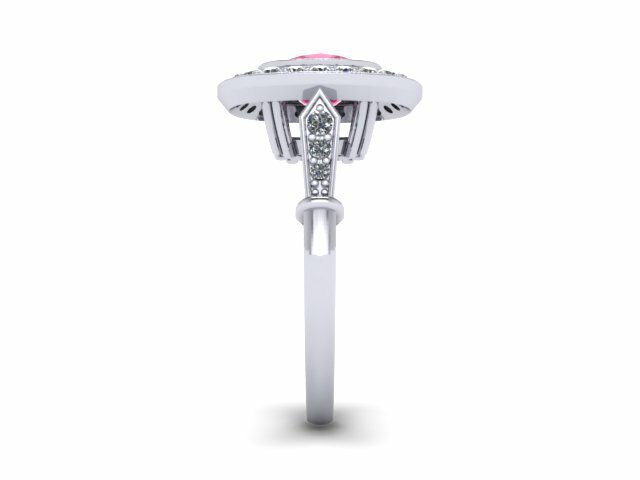 Elysium offers the first successful diamond jewelry rendered in black. It will quite simply outlast and outperform every other substance in its class. Traditional materials scratch and mar easily and struggle to hold up in any working environment – even in the mildest of conditions. Diamond in Black is forever! As hard as diamond because it is diamond. The BLACK collection is the result of decades of science, technology and art – driven to perfection by a relentless quest for the ultimate black diamond. 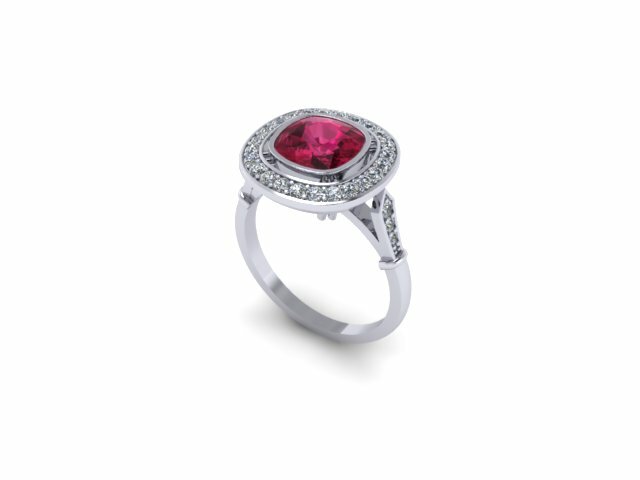 Timeless and dark as the depths of the earth that forge diamond, Elysium BLACK jewelry brings drama and desire together. 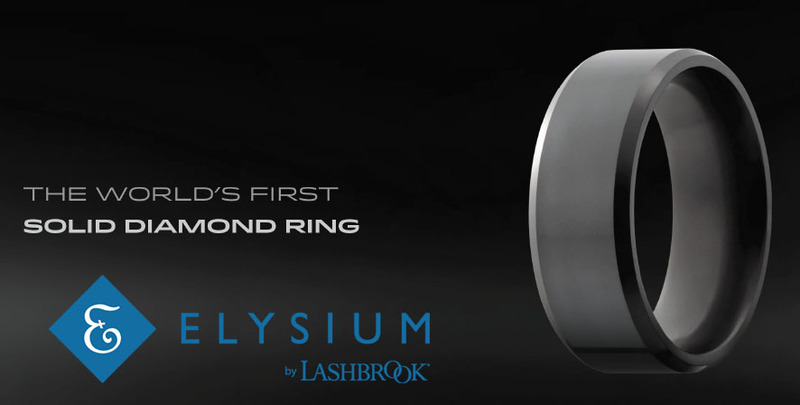 Elysium wedding rings are virtually scratch resistant, as demonstrated in the video below. Diamond is the best heat transfer in the world and is 4 times better than copper and the video below also demonstrates this. When the ring touches the ice, the heat from the ring transfers to the ice and melts the ice while the cold temperature of the ice is absorbed into the ring – all within a matter of seconds. 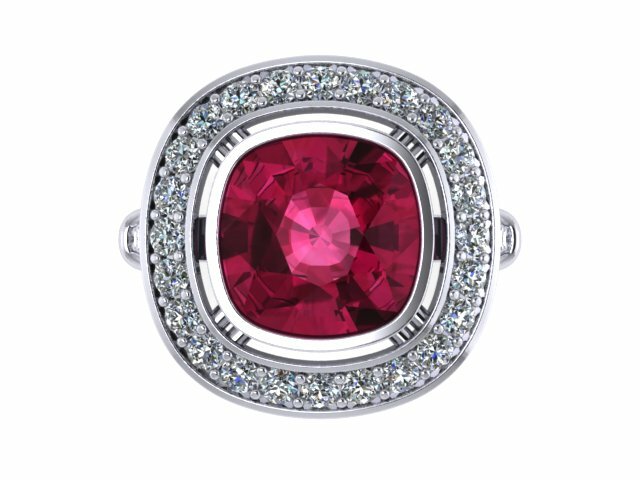 Thanks to Jeff Walters Jewellers in Ontario for this video! Our brand new Paisley diamond eternity band in rose gold. The band measures 2mm wide. Contact us for details. 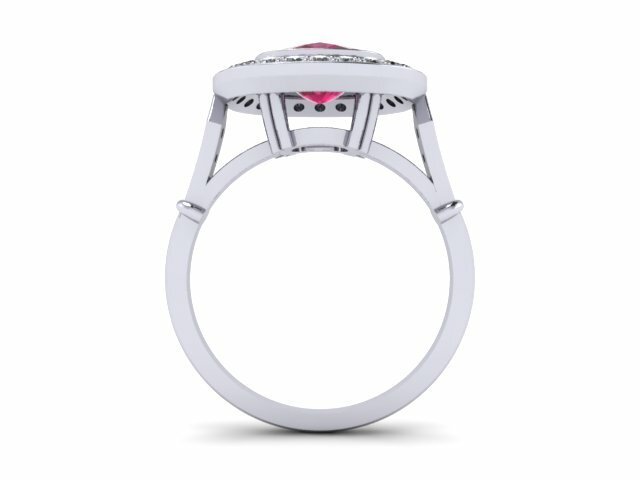 Semi customized Beverly K engagement ring. 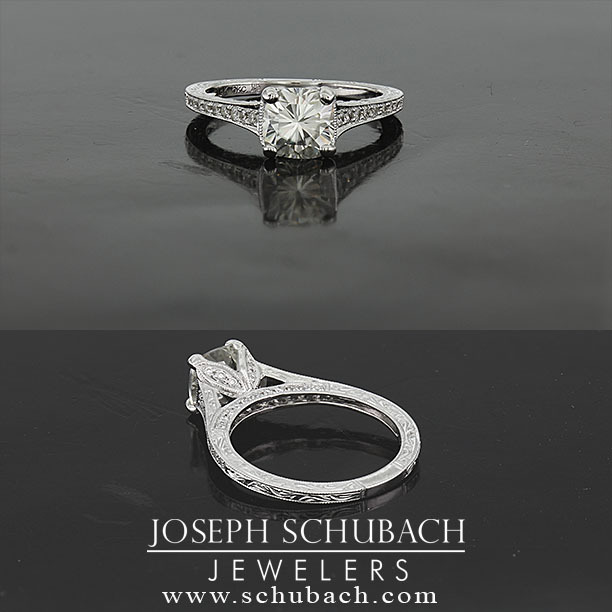 We took the shank of style #102038 (8WR9011) and the prongs/head from style #102049 (8WR1235) and used the scroll engraving. 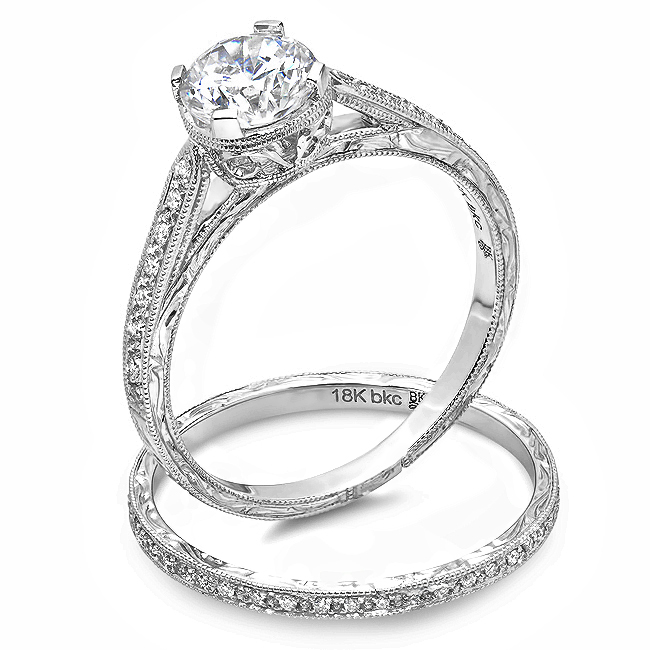 The scroll hand engraving style can be done on any Beverly K engagement ring or wedding band.